Are you among the millions of women who wear high heels day after day? If so, a study suggests you’re probably causing permanent damaging to your feet and legs. It is that time of the year where we are all busy with weddings, the winter racing season and lots of others social events. This month I am looking at the affect of high heels on women’s postures and why the next day your body feels like it has been run over (or so I’m told by all the women in my office). The aches and pains on the body, might not be effects of all the alcohol but the changes your body makes to be able to stand and walk in those killer heels. Normally, your feet act like spring-loaded, weight-distributing shock absorbers, cushioning your skeleton from crazy amounts of pounding. Jam these engineering marvels into high heels and ouch. You’ve shifted much of your mass onto the balls of your feet and your tiny, delicate toe bones. 30% have fallen whilst wearing them. What impact do high heels have on the body? 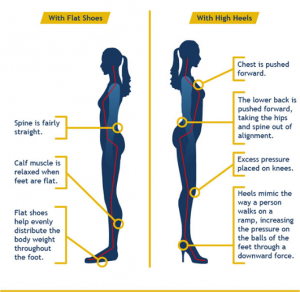 Due to high heels, the body will attempt to compensate by flexing or forward bending the hips and spine. To maintain balance, the calf/hip and back muscles become tense, causing excessive muscle fatigue and strain. 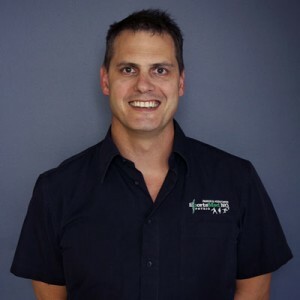 By long term use, this can actively lead to changes in your anatomy, especially lower back degeneration/sciatic symptoms, shortening of calf muscle and thickening of Achilles tendon. The higher the heel, the greater the impact. Here are some recommendations if you ever wear high heels. Taking the following into consideration can decrease the negative effects of wearing high heels, without avoiding them altogether.